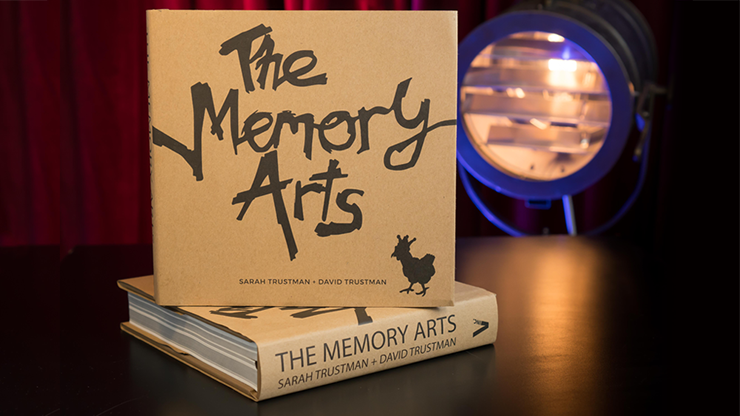 Today, when you order "The Memory Arts by Sarah and David Trustman - Book", you'll instantly be emailed a Penguin Magic gift certificate. You can spend it on anything you like at Penguin, just like cash. Just complete your order as normal, and within seconds you'll get an email with your gift certificate. 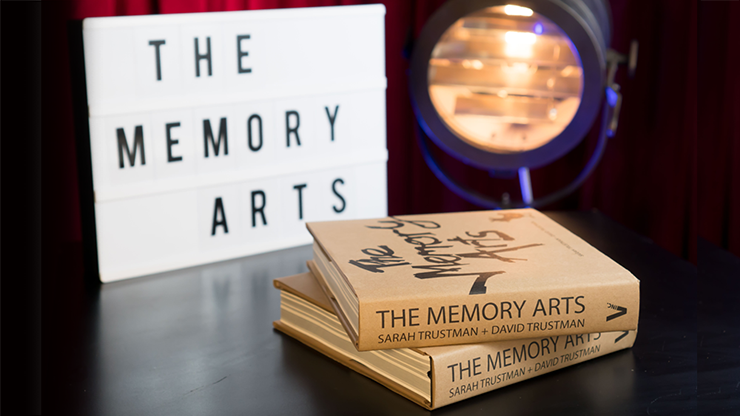 This is a small format hardbound book, 339 pages, which incorporates the Trustman's ebooks about memorized decks (and includes the same art pieces, many of which fill entire pages). It then goes beyond and teaches how to apply "their" method to memorizing anything. Be aware that if you have already bought their ebooks (Mnemonica, Aronson and Memorandum stacks editions) you may find this book unnecessary. On the other hand if you'd like to have the additional info available, as well as have a bound book to keep open for ease of study, then get this edition also. $50 is a reasonable price for the quality of this volume. I cannot tell you the binding process, but it opens and stays flat without pages falling out and their is an attached page ribbon. Just a quick note, I purchased this book in January at the early release at Magi-Fest. I have been trying to memorize Mnemonica for a long time and nothing work. I tried just straight memorization, games, mnemonic devices, and nothing worked. I saw the Trustmans at Magi-Fest where they brought their 12-year-old son out who was able to recall the card at the number an audience member called out from 4 DIFFERENT stacks as well as the next card in the stack. After this demonstration, they revealed that he was able to learn all 4 stacks in 45 minutes without any heavy memorization or cramming of information. That is what sold me. After purchasing the book, I learned Mnemonica stack in 10 minutes! The best part is, this book teaches you how to memorize multiple stacks at the same time. Not only does it teach how to memorize stacks, but it teaches how to memorize just about anything using their mnemonic device. You can even learn to memorize a completely shuffled deck and be able to recall what card is at which number and vice-versa. I highly recommend this book to anybody who is trying to learn a stack but is struggling to memorize it because I promise you, after you read this book, you will be able to. Indeed I was able to learn Juan Tamariz' created deck order in less than 30 minutes... and I've never tried any deck stack work nor tried to memorize cards for that matter. Just for this fact alone I would have happily paid $50. Beyond this, the book is well put together and the content claims to help learn much more. I'll be using this to challenge my brain from now on and see how much I can remember and how I will choose to process future memories so that I can recall them that much better. I have tried other systems in the past to learn Memonica... This is it! Not only will you be able to remember Memonica for the rest of your life, but have a whole lot of fun in the process! 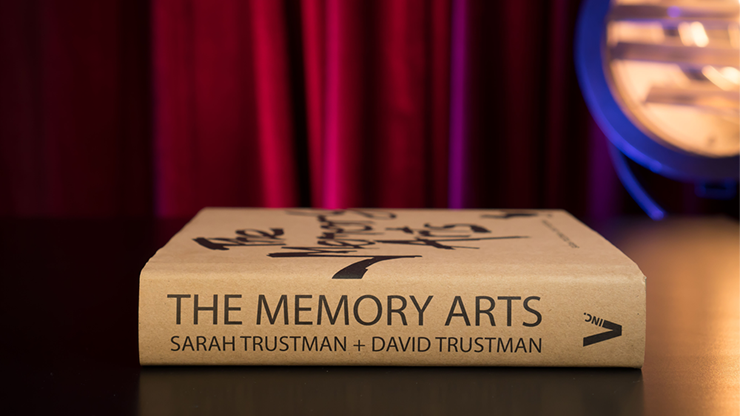 Thank you David and Sarah Trustman for sharing with the magic fraternity this amazing book. The hardcover is amazing, and the quality is top-notch. If you make this investment you will also want to invest in the PDF ebook as well so you can take it with you on the go! A+ DO yourself a BIG FAVOR and save years of hardship and BUY THIS. It's really a Great Book. Very interesting and easy to learn. 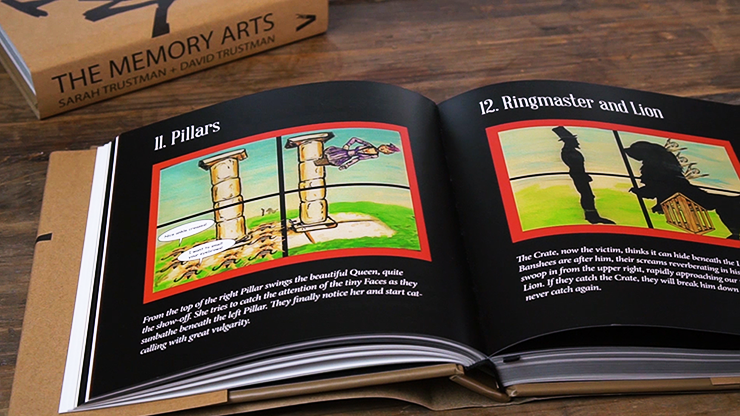 the trustman's have really done all the work in producing a memory palace and the tools to fill it. i was wanting something to help me with my Scenic 52 card memory trick (by Jamie d grant - who also uses juan t stack)and it has done just that. buy this book. 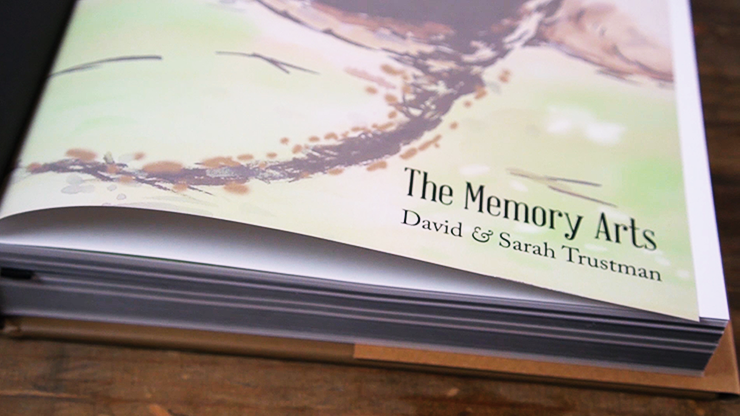 it's beautifully done and the background of memory work is excellent too. Very well put-together introduction to memory techniques, with a focus on the memorized deck. 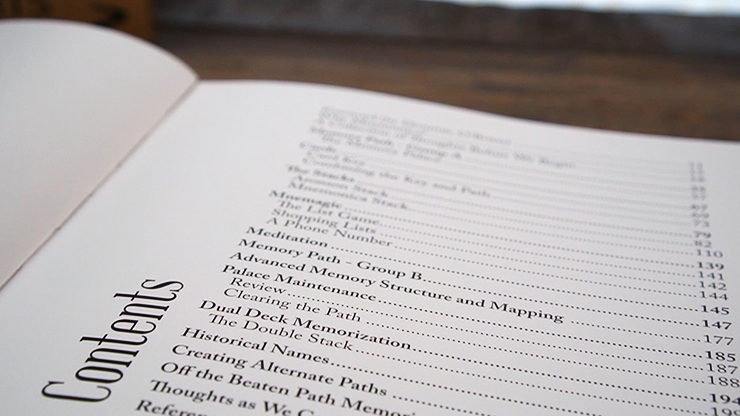 Not only does the book teach you two very common stacks, it also gives you the tools to memorize anything, including a truly randomized deck of cards. The techniques worked really well for me, just like in the MagicOrthodoxy review I found myself subconsciously going through some of the lists of images in the book before I fully knew what they were for. I find that now this morning, I have full recall of every card and every number. I can list where any suit is, starting at the beginning, end or in the middle. Not quite as fast as I would want for performance, but fast enough to make me say that this book is the best product I could have used to accomplish this! This was my first venture into stacked decks and I was so glad I did not try to brute force memorize any decks prior to reading this book. It took me aprox. one hour from opening the book, reading about the method to being able to name every card in Tamariz stack without any mistakes. I was amazed (both by me and the book). Such quick results are very motivatinng. Looking forward to expanding my newly aquired skill and utilizie the method in different contexts, other than cards. If you are considering learning stacked decks easily, definitely get this book, you will be amazed at what your are capable of.